Happy New Year! Welcome back to a wonderful place we call the Woods! We hope you all enjoyed your holiday with your friends and families and made many wonderful memories that will last a life time! Ms. Wright and I sure did, as I spent mine in NY with family and friends and the bitter sweet cold weather, Ms. Wright spent her holiday here in Atlanta sharing it with her family and friends. 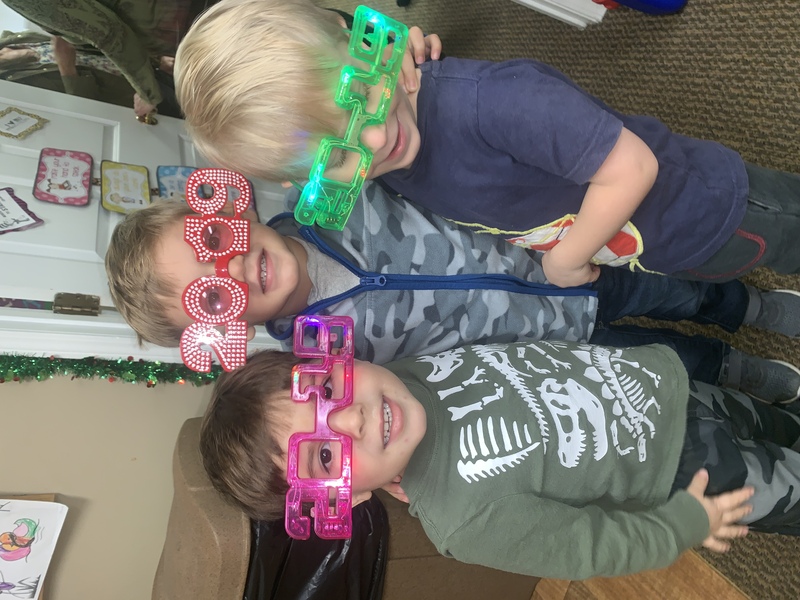 We are very excited and looking forward to getting back into the swing as we bring in the new year with your precious little ones. Abc’s here we come! Learning the alphabet is one milestone that we tend to mark as an indication of a child’s successful entry into the world of reading. 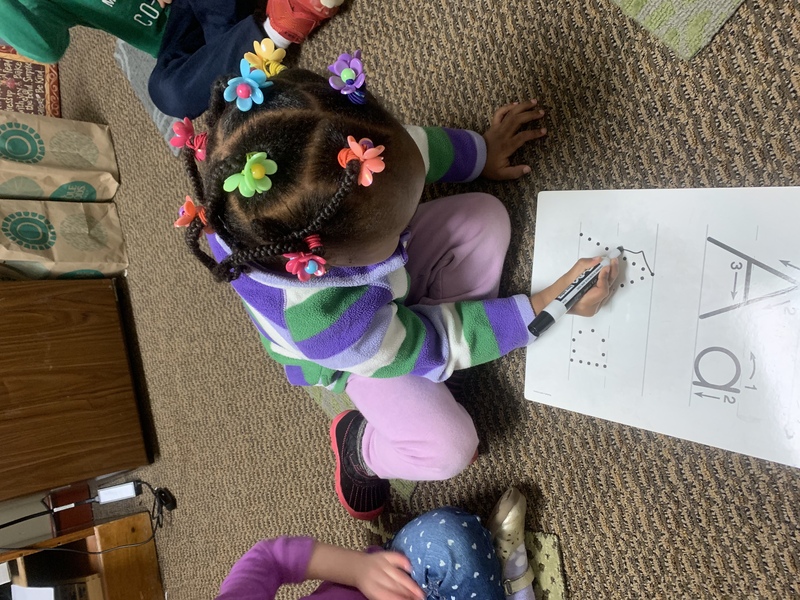 Mrs. Wright and I have planned many fun filled learning activities to help your child become successful throughout this unit by utilizing some of these materials such as, magnet letters, white boards, and flash cards. This week, we will focus on the letters A and B. For the letter A and B the children will discuss during circle time objects that begin with these letters. For creative art, we will make a alligators out of the letter A and create a bear for the letter B. 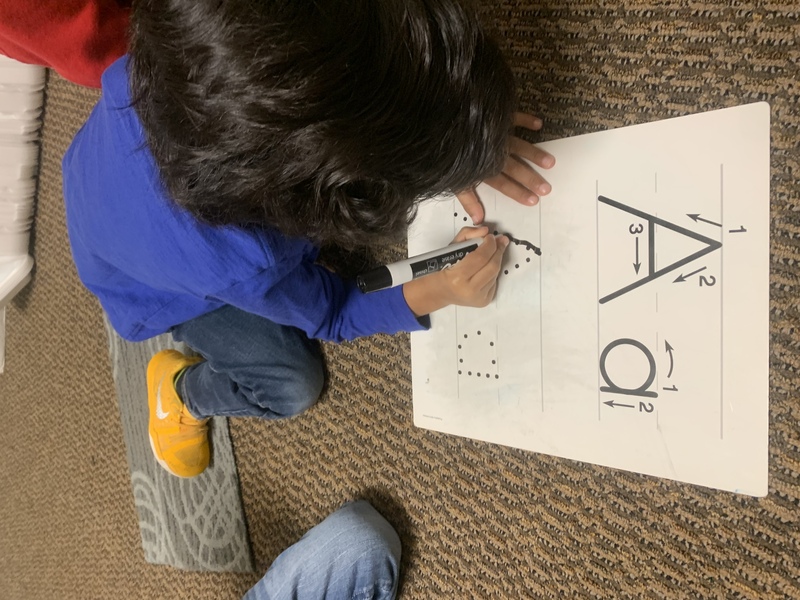 For hand writing, we will focus on introducing the proper way to form these letters by using shaving cream and encourage the children to form theses letters by using a paint brush. As a reminder, on Thursdays your child will create a letter bag that will be sent home to find child age appropriate toys to show and share on Fridays. These bags will be sent home every Thursday. Please make sure your child returns to school on Fridays with it as we will share them during circle time. This will be replaced by our fun Friday themes. Mystery reader dates are available. If you would like to be a part of our Feel Good Friday’s, please let me know. I will be sending out a personal email to you all to pick a date. Feel free to email me the date you would like to come in and I will add you to the our sign up. Also, as a reminder our mystery reader is held in Friday’s at 9:00 am. The Wood Acres school will be closed on January 21st in honor of MLK. We will resume back on Tuesday January 22nd. Parent teacher conferences will be held on February 19th and 20th. More info to come regrading your day and time. If you are for any reason unable to make your scheduled time, I would be more then happy to work out the best time for you. I am looking forward to meeting with you again. Thank you for helping us help your child’s educational experience at the Wood a good one!